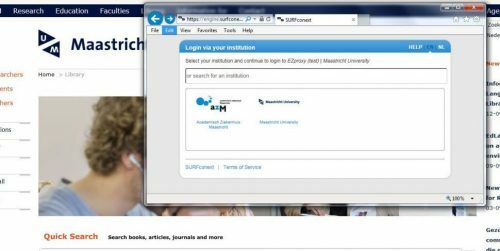 As of 15 October 2014 the Online Library login will be replaced by a uniform Maastricht University login based on SURFconext technology. SURFconext is a national infrastructure by SURF and provides single sign on when used in combination with other supported services. By now you are used to access the Online Library, anytime, anyplace. Whenever you are off-campus a log in screen automatically pops up. By logging in, we can grant you access to our protected content and the websites and databases of publishers we subscribe to. By replacing the current login with SURFconext you will get access to even more UM subscribed content. 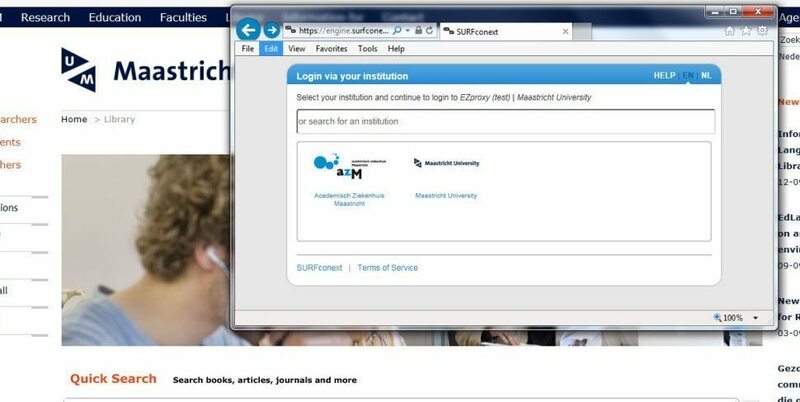 SURFconext also helps us to provide access to new user groups: as of 15 October we welcome all azM employees to make use of the Online Library outside the azM buildings. If you have questions, problems or remarks, please contact me via Ask your librarian. Kunt u ook zeggen welk adres we om te beginnen moeten intypen? Dear Wouter, there is no specific address. 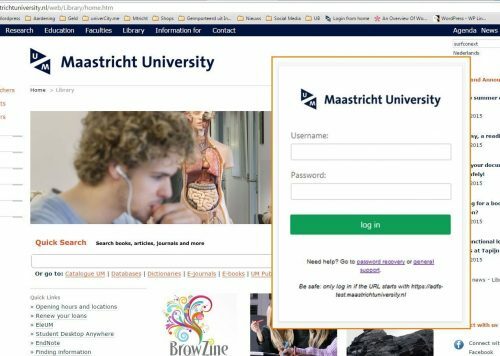 When you are off-campus or outside one of the authorized domains/buildings, a login screen will pop up automatically when you open a protected page or source in the Online Library.